Co-owned by the University of Toronto and the City of Toronto, the $205-million centre is the sole aquatics facility in the region that meets the latest international competition standards. It played host to the Games’ swimming, diving, fencing, modern pentathlon, sitting volleyball and roller sports events. 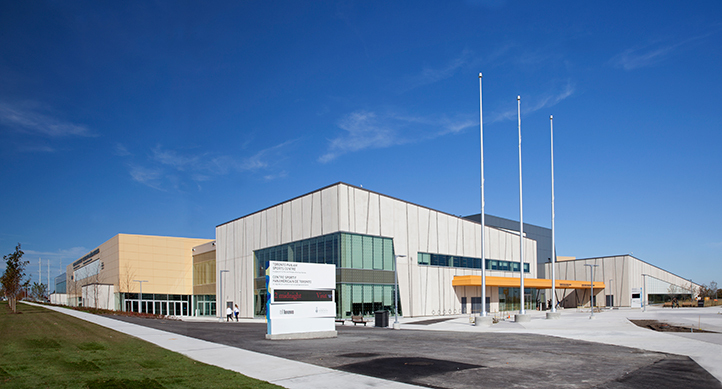 The CIBC Pan Am / Parapan Am Aquatics Centre and Field House was the largest sport new-build for the Games and the largest investment ever in Canadian amateur sport history. The Aquatics Centre includes two internationally sanctioned 10-lane, 50-metre pools (including bulkheads); a 5-metre deep diving tank with 3-metre, 5-metre, 7.5-metre and 10-metre platforms; and dry-land dive training facilities. Creating a sense of animation throughout the building was a key design driver. By using a high level of transparency in the interiors, the two primary corridors have been programmed as strong public spaces. Lined with glass, they overlook the centres of activity. 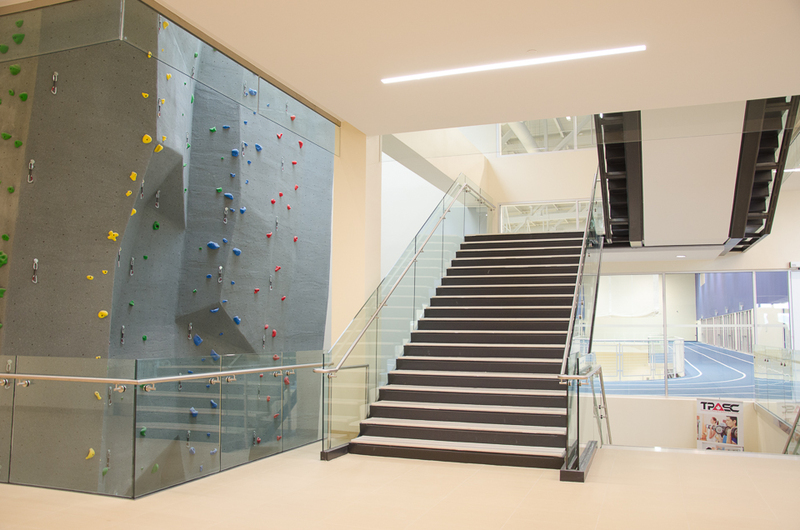 The indoor climbing wall located just off the main lobby entrance contributes to the feeling of liveliness. There was a concerted effort to get young kids to see and potentially be inspired by elite athletes. The combination of building form and its glazed components combine to bring a sense of dynamism to the street, with exercise rooms radiating their creative energy, a combination of play and light. However the large facility has not overwhelmed the low-rise neighbourhood. The redevelopment strategy of the site required a complete remediation because it had been a brownfield. Excavating it gave the design team the opportunity to sink the building inside the hole, with benefits on two fronts: keeping the scale of the building within that of the existing context and bringing lots of indirect natural light into the spaces eliminating glare on fields of play. 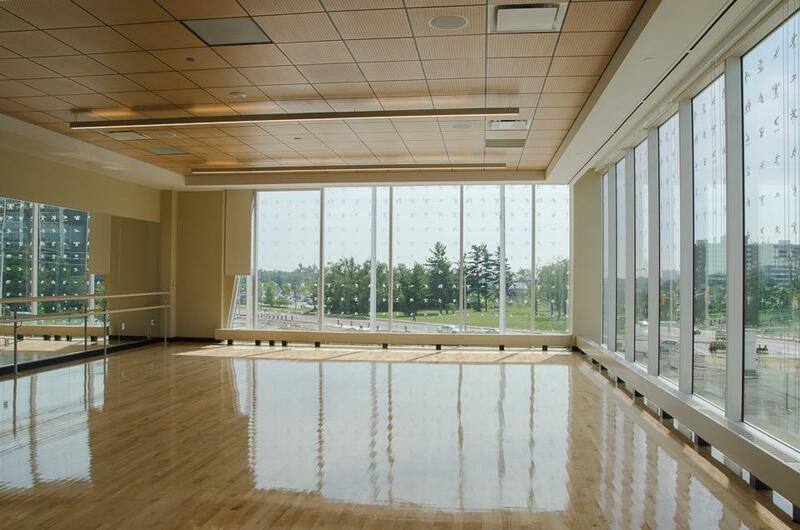 The TPASC is 100% accessible, exceeding Ontario codes and meeting London, UK’s stricter Standards for Accessible Design in every program area throughout the building. This would be one element within the University’ mission, “to strive to create a respectful and inclusive environment that promotes opportunity and overall well-being through physical activity.” They have demonstrated this through the use of accessible washrooms and change rooms, fitness equipment that can be operated by someone in a wheelchair, the use of vertical actuation bars (in lieu of push plates), modesty panels, and washing stations to accommodate those with religious practices. 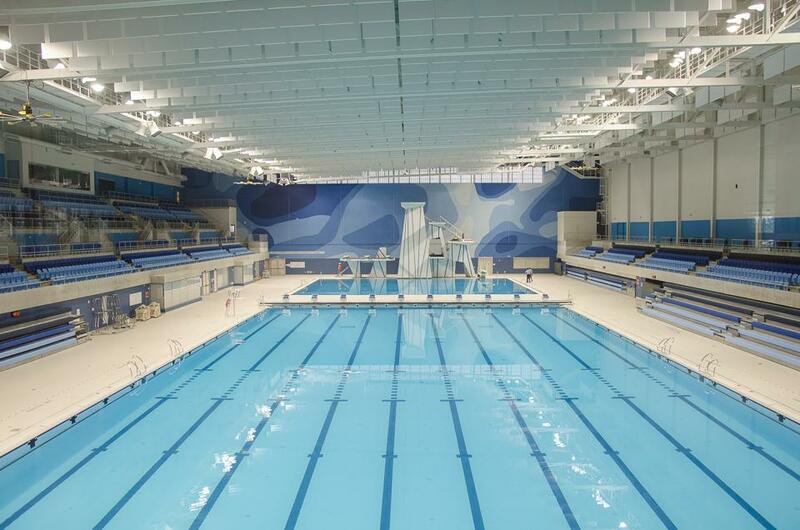 Exterior Technologies Group is proud to to also point out that the TAC Thermal Spacer is a key component in the construction of the Pan Am Aquatics Centre. The TAC Thermal Spacer is an affordable solution to effectively reduce thermal-bridging by at least 97% for rain-screen exterior wall systems. For more information on the TAC Thermal Spacer click here. Get exclusive specifications, drawings, and details, as well as mew product announcements, to help get your project done.